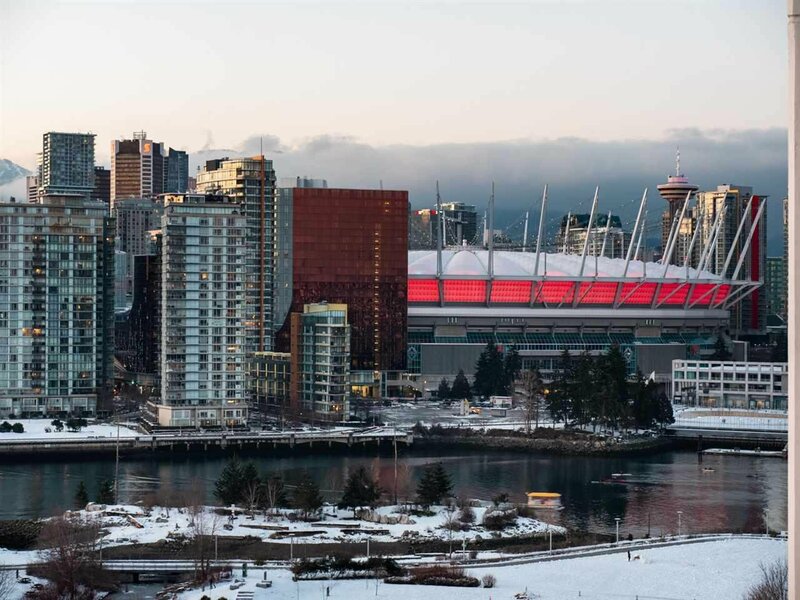 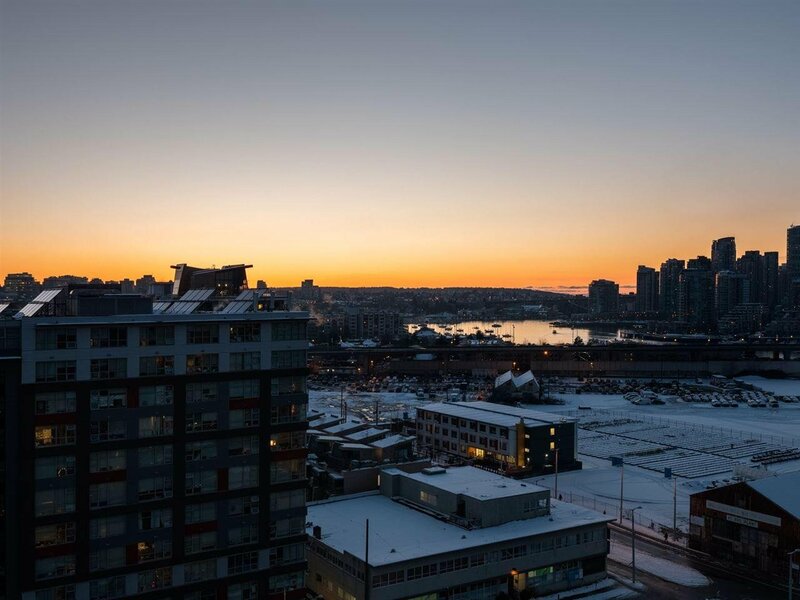 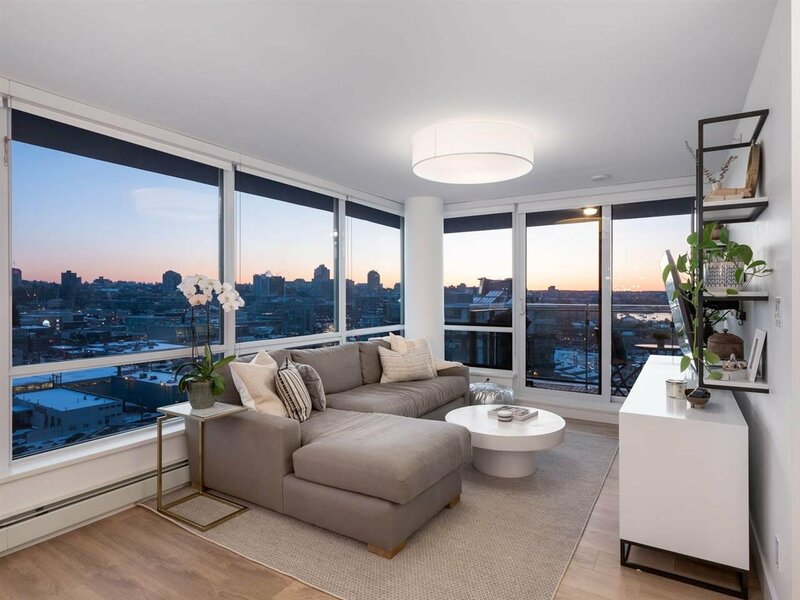 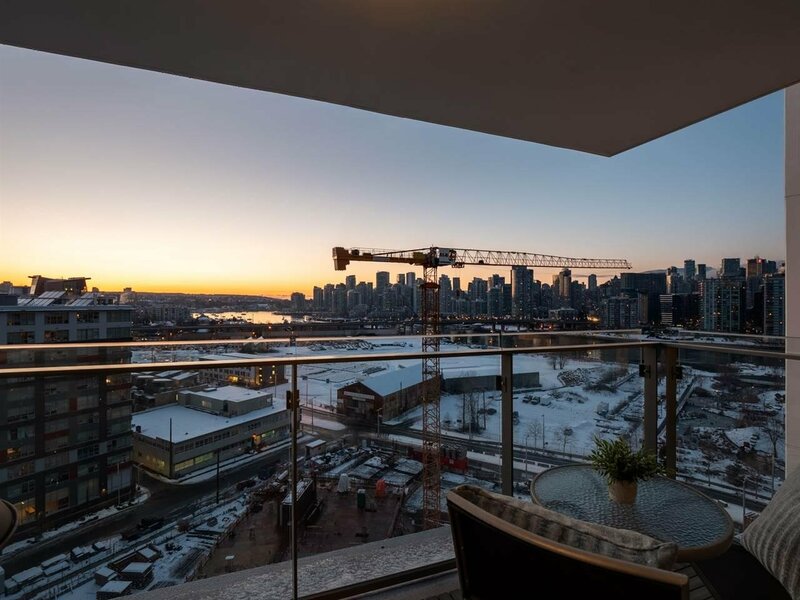 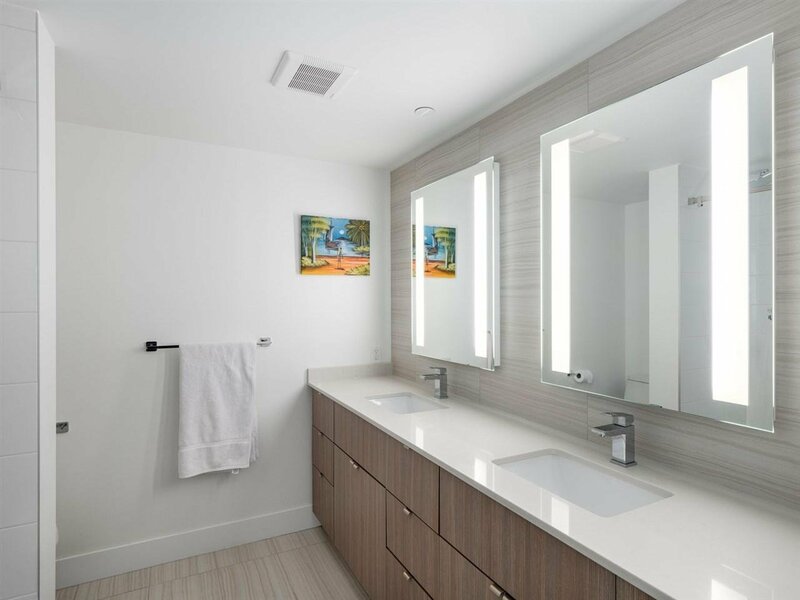 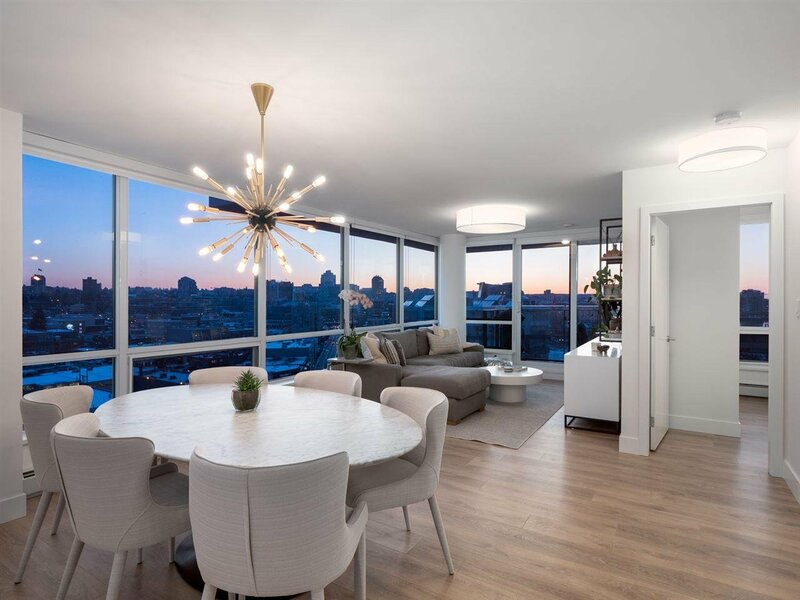 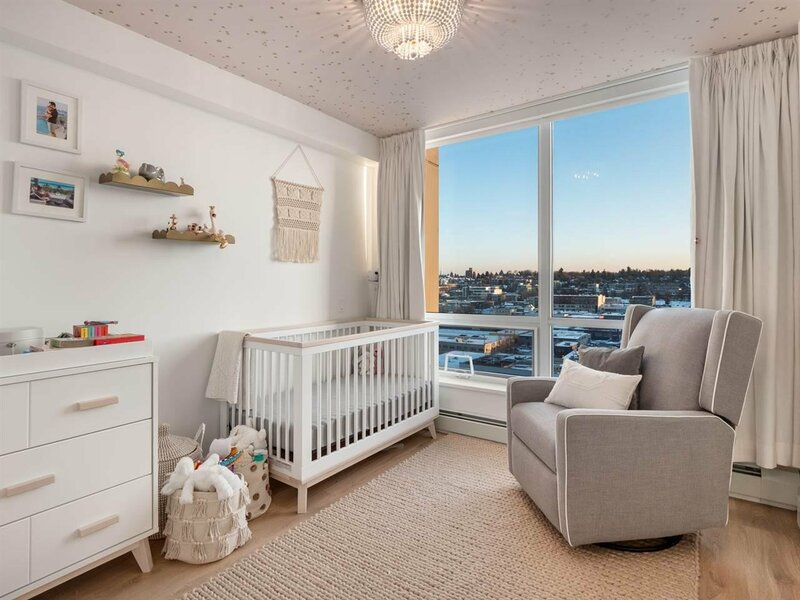 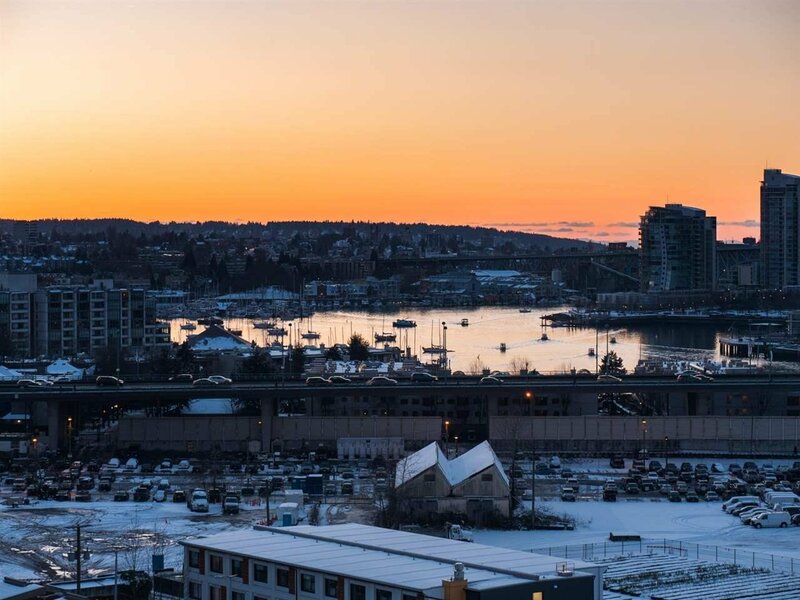 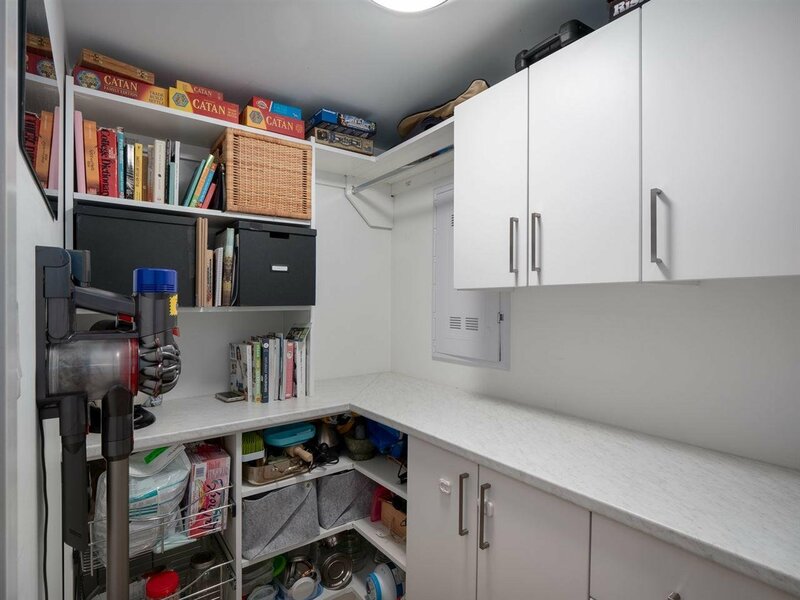 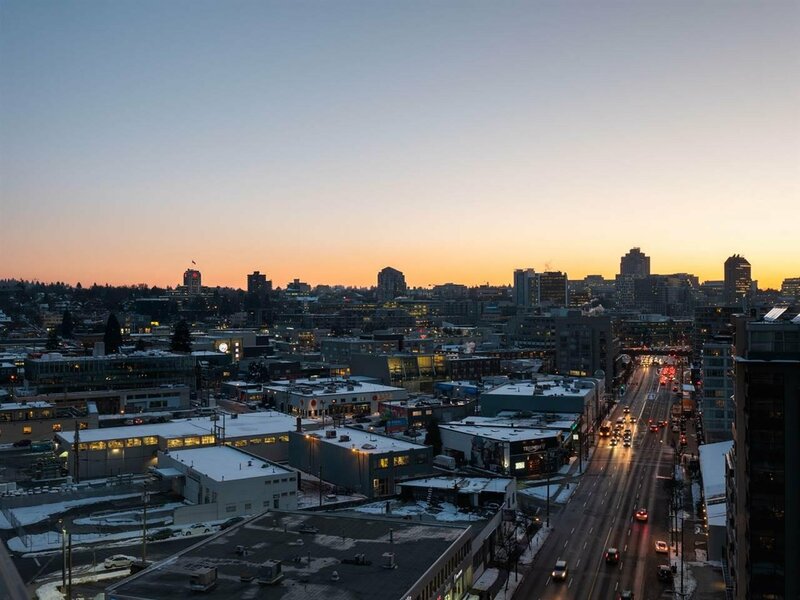 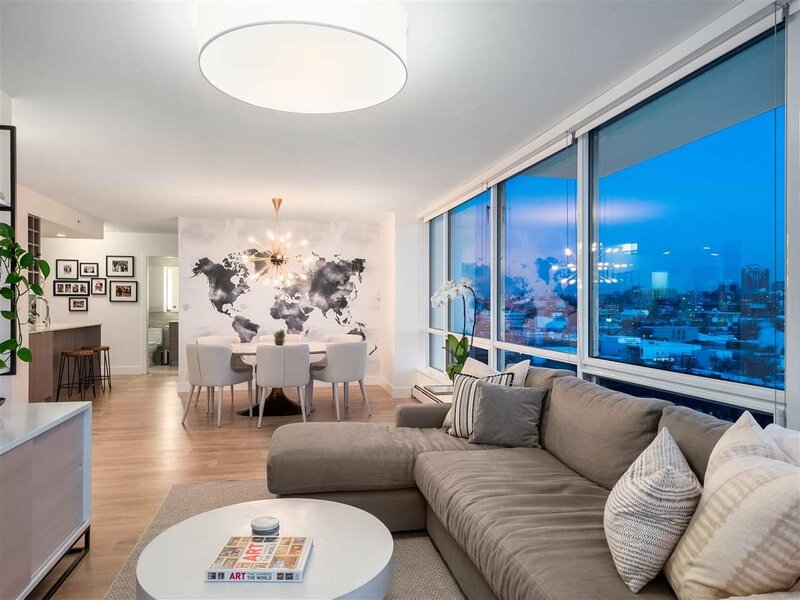 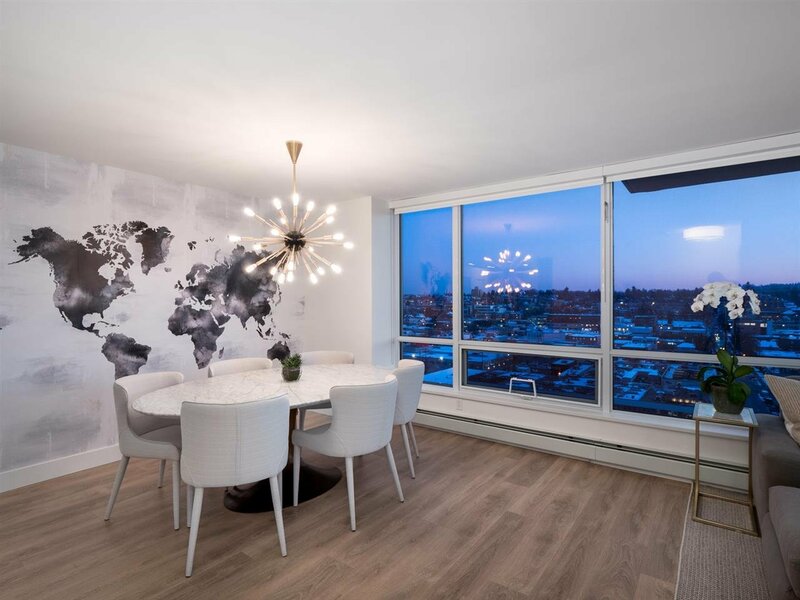 Description: Stunning 2bed/2bath quiet corner unit presenting a sprawling 1,000sqft of open concept living with spectacular views of the City and False Creek from every room. 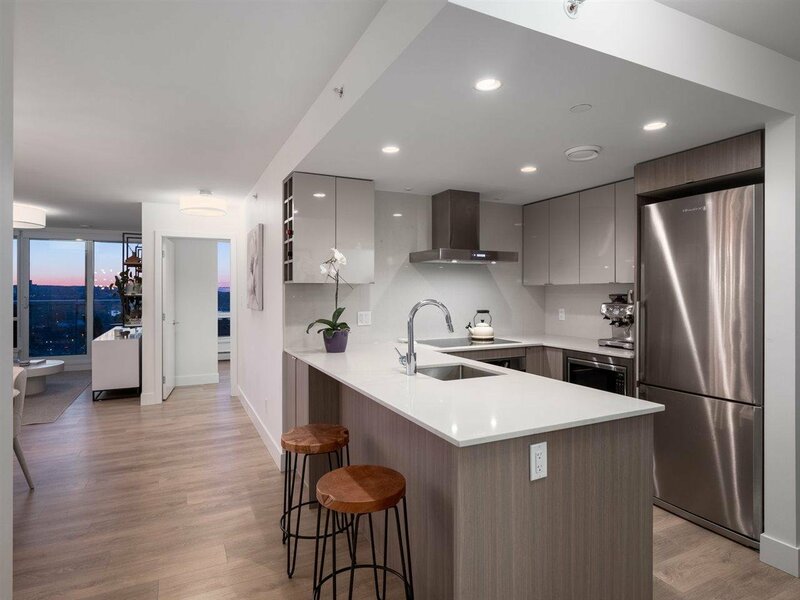 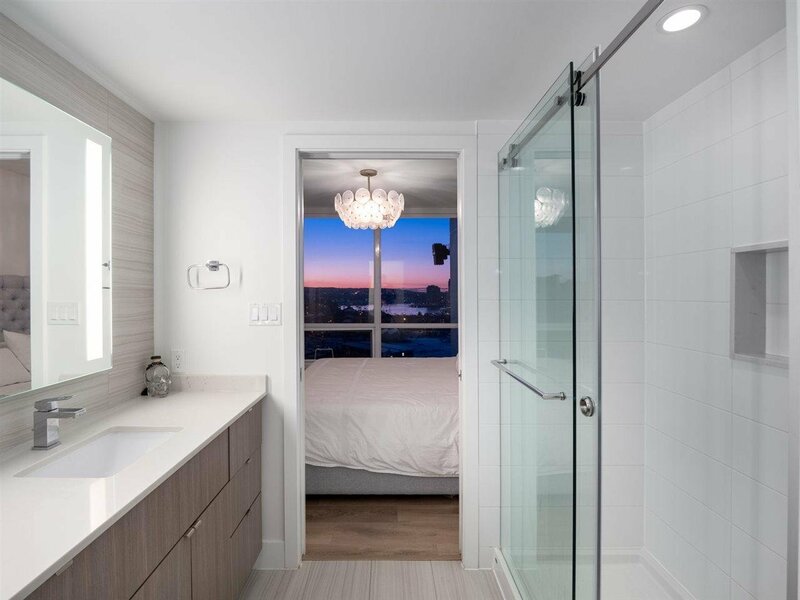 Fantastic layout with bedrooms on opposite ends, large gourmet kitchen with high-end appliances and quartz counters plus large south-facing window front bathing the interior in natural light. 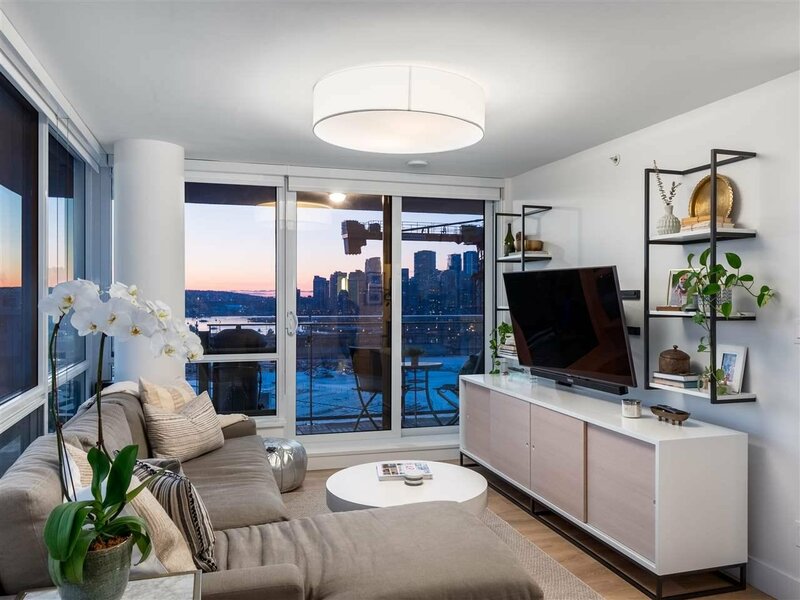 Other luxury features include elegant wide-plank flooring, den perfect as a pantry and spacious balcony to enjoy breathtaking views. 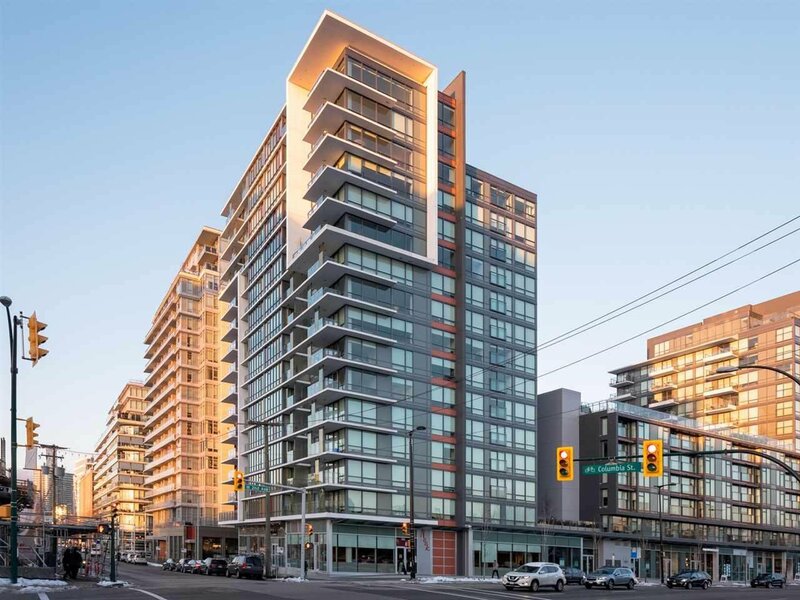 Take advantage of concierge, community garden, gym in this 1 year new concrete building with 2 PARKING, 2 STORAGE, pets & rentals allowed. 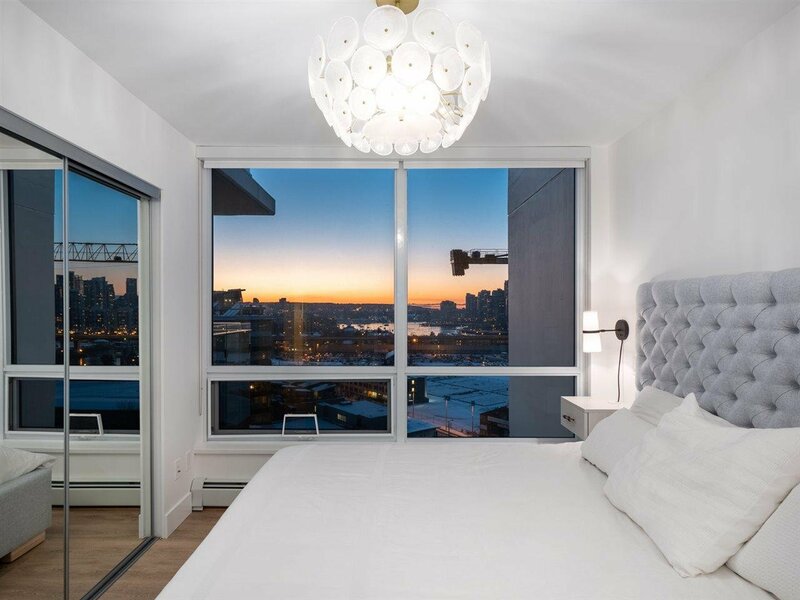 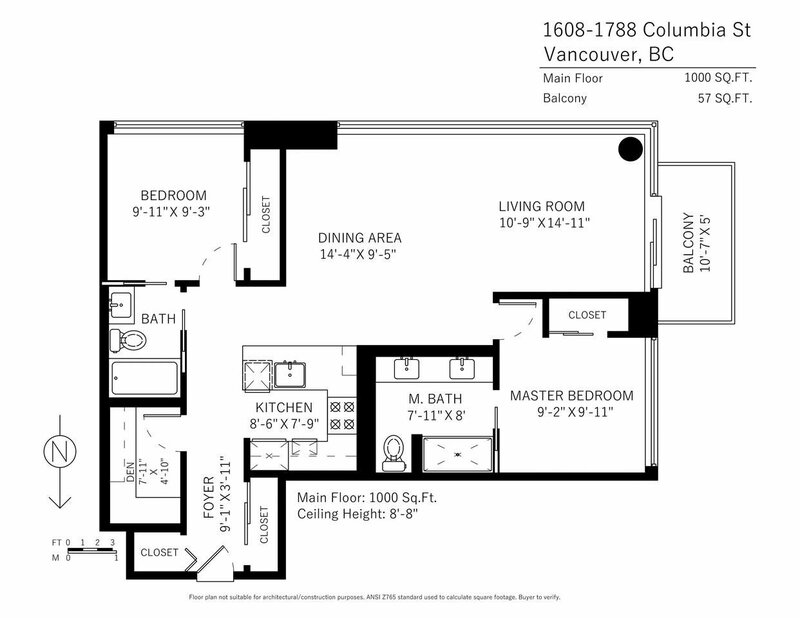 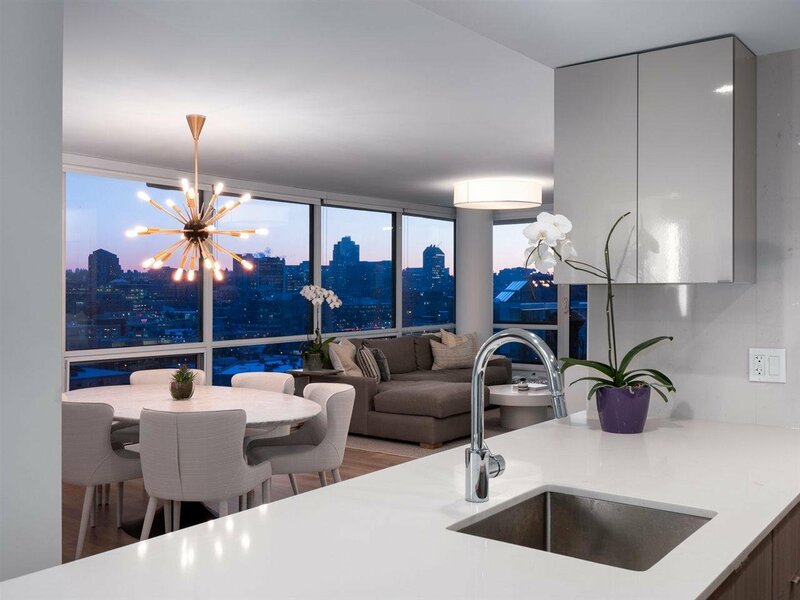 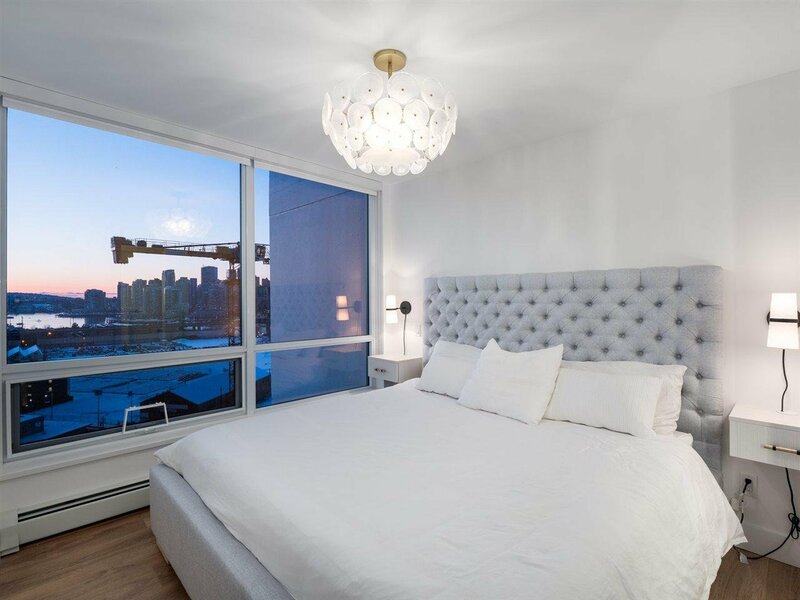 Located in the most sought after Olympic Village with miles of seawall and seaside park.